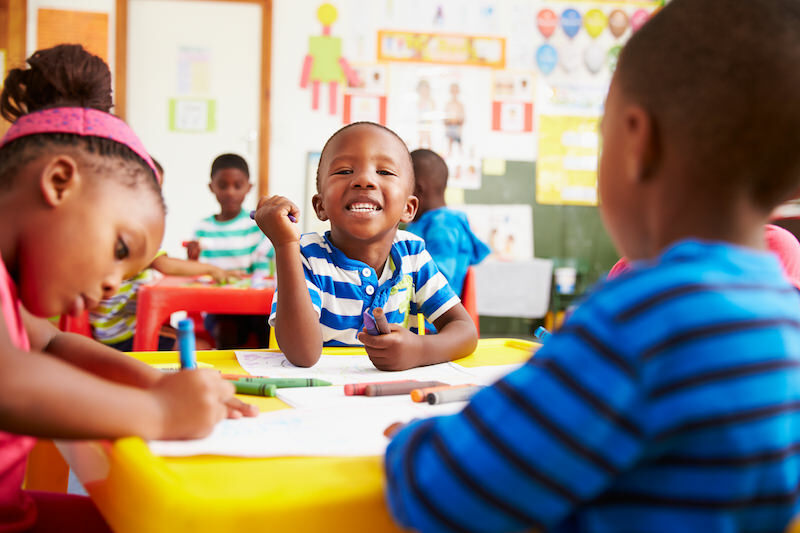 The dominant model of delivery for early learning services in South Africa is the ECD centre, also known as a pre-school, nursery school or crèche. However, the majority of ECD centres lack qualified staff and appropriate infrastructure. This was confirmed by a national audit of approximately 19 000 ECD centres undertaken by the Department of Social Development in 2014. Ilifa worked with Ntataise between 2012 and 2015, to explore models for quality enhancement at ECD centres in North West province. During 2014, Ntataise conducted a baseline survey of ECD centres, collecting valuable data on 368 sites across four North West districts. During 2015, Ntataise and Ilifa worked with the North West Department of Social Development to select 53 ECD centres, which went on to receive interventions, focusing on quality improvement. Interventions at these selected sites included training of 124 practitioners, provision of educational resources and ongoing job observation. The project demonstrated how ECD centre enrichment work can be integrated into existing government systems. Drawing on lessons from this work, Ntataise developed and costed an ECD Resource Toolkit which was published by Ilifa in January 2015. The toolkit is designed to provide guidance to new and existing centres about resources which provide high-quality and age-appropriate early learning programmes.